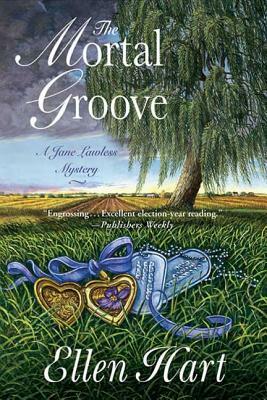 Ellen Hart's newest Lambda Award Finalist The Mortal Groove is a haunting and accomplished tale of dark secrets. Minneapolis restaurateur and amateur sleuth Jane Lawless is in the middle of ringing in the New Year when the biggest financial backers in Minnesota politics break up the party with a backroom proposition for her father: How'd he like to be the state's next governor? Flattered, Ray Lawless, a retired attorney, agrees to run, and the latecomer's sprint to the state capital is a huge success until reporters start digging. He and his family are fair game, but worse than that, so are the men running his campaign. Their secrets, involving the mysterious death of a young woman, have been buried since the summer they all came home from Vietnam. Unfortunately for Jane and her father, those secrets won't stay that way for long in Hart's ominous addition to her widely acclaimed mystery series.